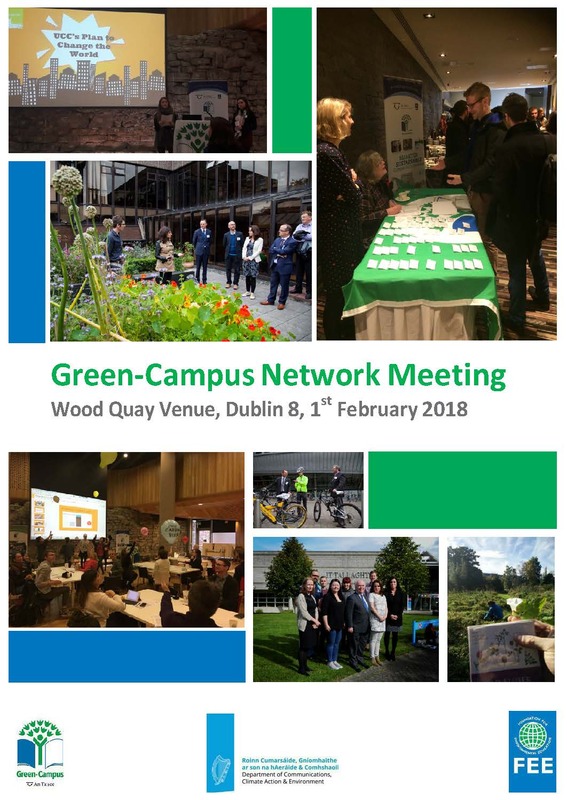 The annual Green-Campus Network Meeting will take place on 1st Feb in Wood Quay Venue, D8. See draft programme in the link above – if you are interested in attending see registration details on page two. The event will feature a great line up of presentations from UCC, GMIT Letterfrack, Cork University Hospital, Sligo University Hospital and University of Limerick. We will also have an update on An Taisce’s The Climate Ambassador Programme which supports student and community climate ambassadors as they seek to take action on climate within their communities. A forthcoming on-campus campaign on disposable cups will be given further shape and feedback from the wider Green-Campus community in a dedicated afternoon discussion session.